Lift Day at Brit Bits. I was so busy looking at the scenery I	neglected to take any pics of the line of 18 little British cars on the move. But we excel at eating drinking and checking out our cars in the parking lot. Click to see a few of those car park pics and lunch and brews at Federal Jacks in Kennebunkport, Me. We had lovely weather and a nice turn out. A dozen cars got a turn on the lifts and we solved many little problems. 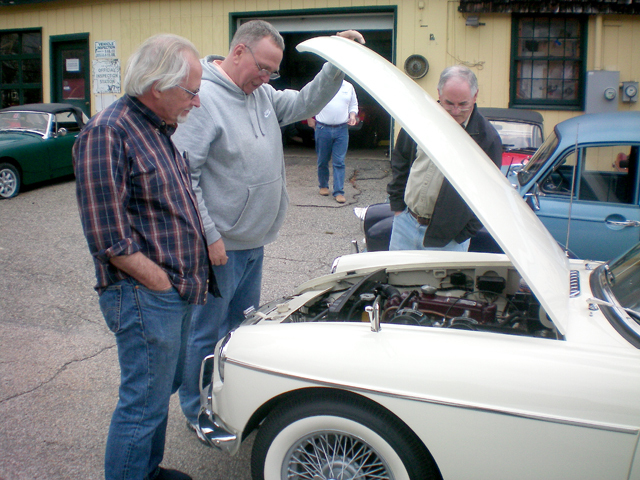 Thanks to Dave LaChance for a great report on the New England British Reliability Run. 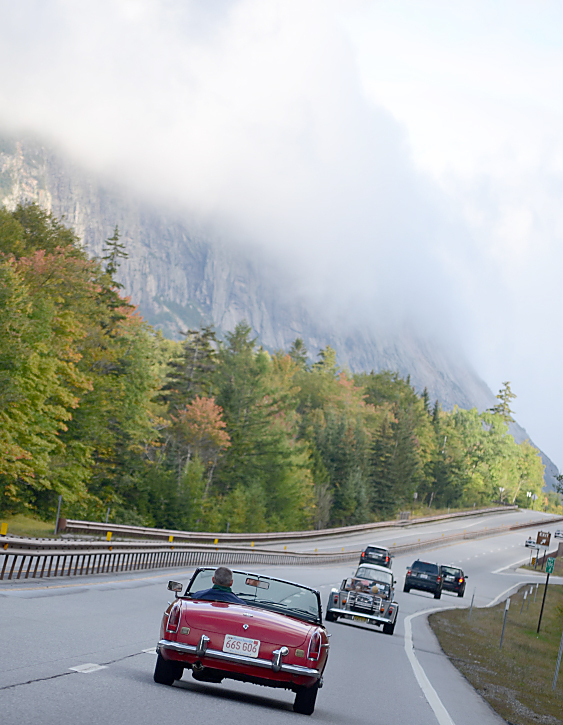 Twenty-four classic British cars attempt to drive 600 miles over three days through the White Mountains of N.H. And we mostly succeed. Click for Dave's full report. 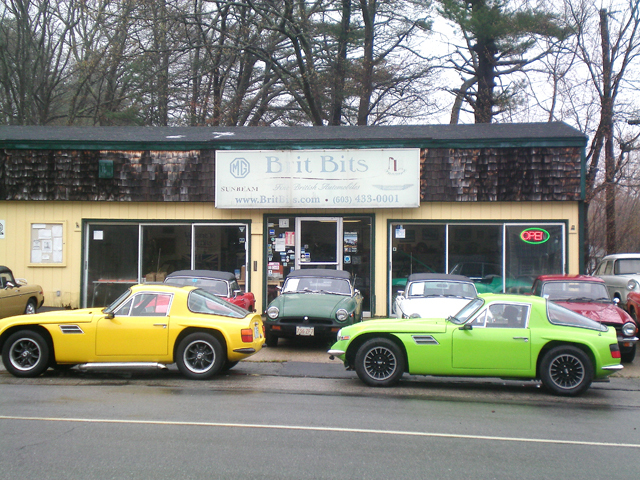 British Reliability cars on the Franconia Notch Parkway. It was a beautiful, sunny day, a great turnout of classic cars and we raised $1,000 for Alzheimer's research. Many thanks to Genesis Healthcare for hosting the event and providing fine food, music and more. Click for results and more pics. 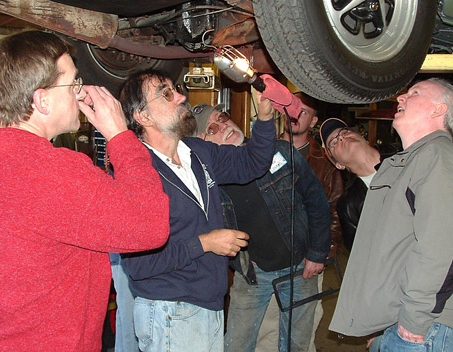 Our techs put attendees cars up on our lifts and checked them over. The staff, residents, guests and general public enjoyed our car show at the Clipper Home in Portsmouth, N.H. Many thanks to the folks at R&L Engine. 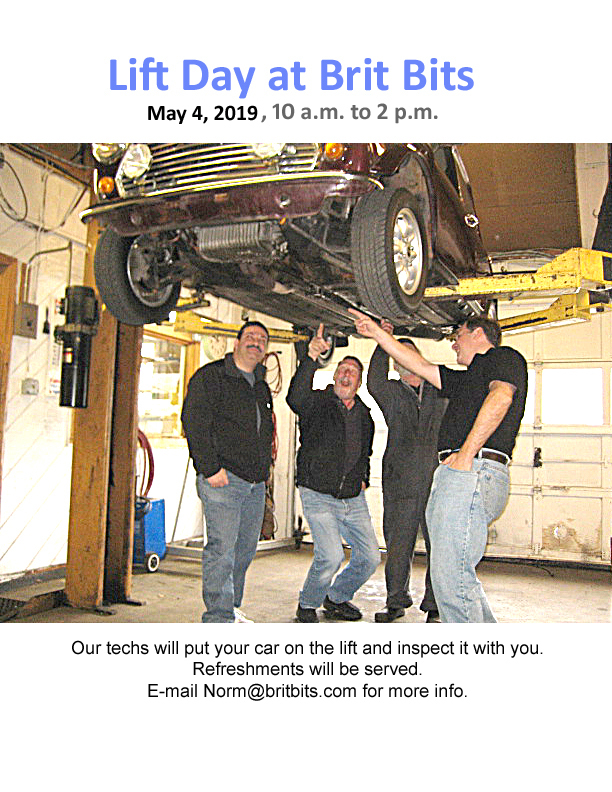 They hosted a Brit Bits tech session recently and we all learned a lot and were impressed at the work they can do. Over bridge and road we searched for clues in three states.